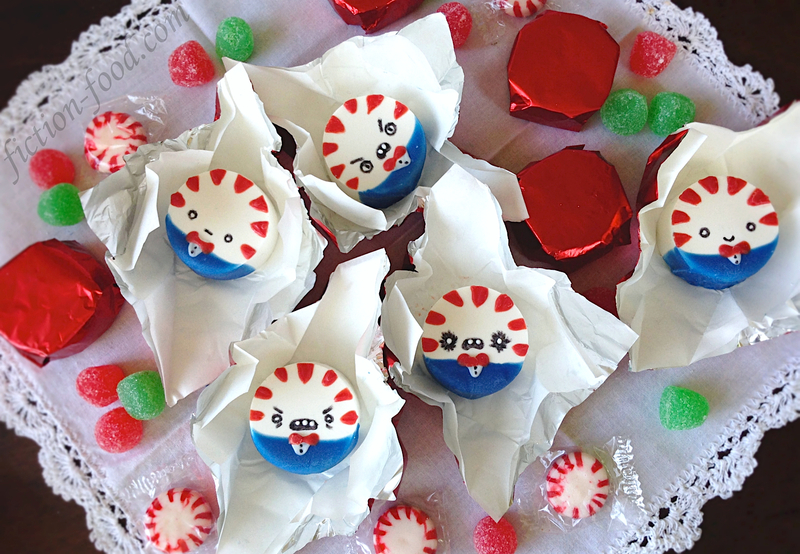 Celebrate the holidays with Princess Bubblegum's loyal and arcane servant Peppermint Butler (or "Pepperlint Bupler" as Smalls says)! These little guys are hecka tasty and perfect for gift giving. 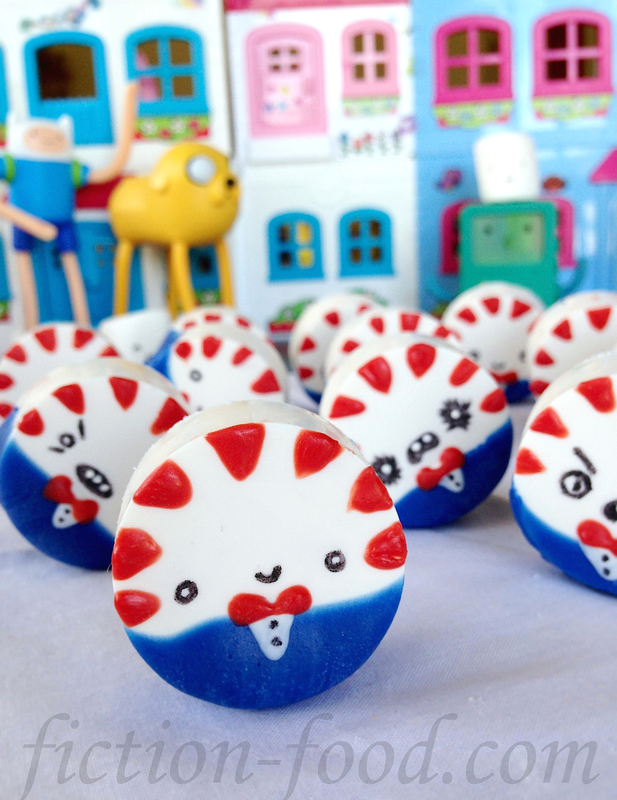 Note: I decorated these candies in layers as described below because I think it looks best. 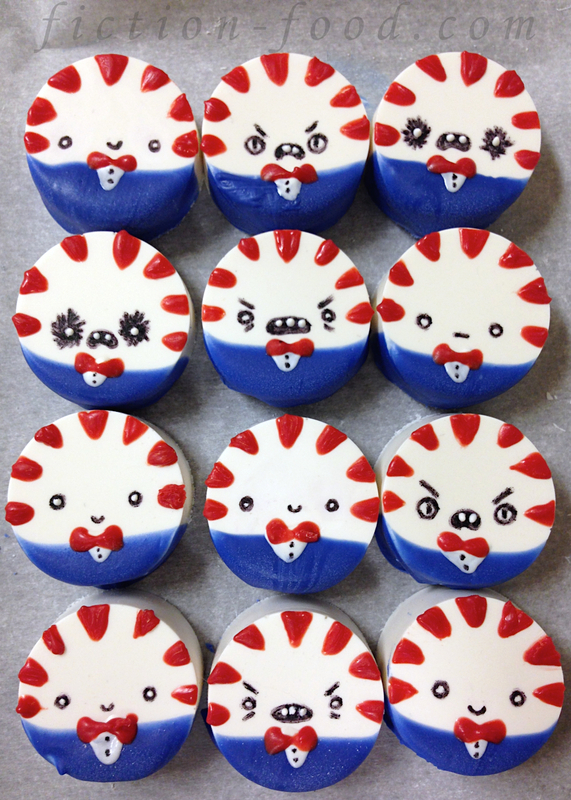 I did try "painting" the blue and red candy melts onto the bottom of the molds and then pouring the white on top, and that worked to an extent, but when I popped the candies out of the mold a couple of the red parts broke off and the colors were thinner and not as exact. So you can try that method, but I prefer the process below. 1. Filling: In a medium mixing bowl combine the powdered sugar, butter, extract, & cream. Beat until it comes together & then turn the mixer to high speed & beat until it's nice & creamy (if it's sticky, add a little more powdered sugar). Put the dough on a large sheet of plastic wrap & roll it into a log, the circumference of which should be about an 1/8" less than the mold your using. Slide this wrapped log of peppermint filling into the paper towel tube & then place it in the fridge to chill for about 45 minutes (the tube helps the filling log keep it's shape on the bottom). 2. 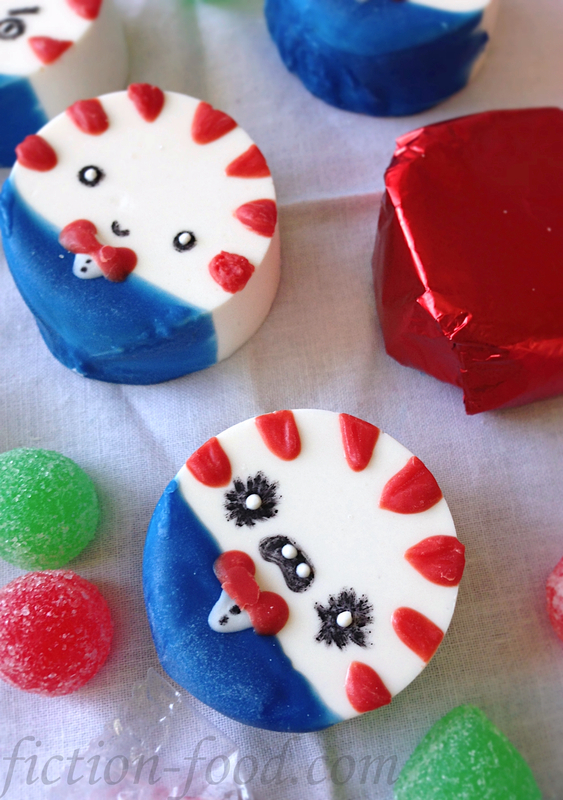 Candy Coating: Remove the filling log from the fridge & slice it into about 1/4" discs using a sharp knife. In a double boiler or a large glass bowl over a pot of hot water, melt the bright white candy melts with about a tablespoon of E-Z Thin or paramount crystals stirred in (the crystals make the melts thinner & more pourable). Spoon a small amount of melt into each mold so that the bottoms are covered about 1/8" thick. Tap the mold to release any air bubbles & to spread out the melt evenly (putting the silicone mold on a tray helps with this). Place the mold in the freezer for a few minutes to solidify the melt. Place one disc each into the molds & then spoon more melt over top so it goes down the sides & the filling disc is completely covered & the top is flat. Tap the mold many time on the counter again to get out the air bubbles & to settle the melt. Let sit on the counter for 30 minutes or more to solidify completely. 3. Decorating: Line a tray with waxed or parchment paper. Heat the blue candy melts in the same way you melted the white, adding a little E-Z Thin to make it more dip-able. 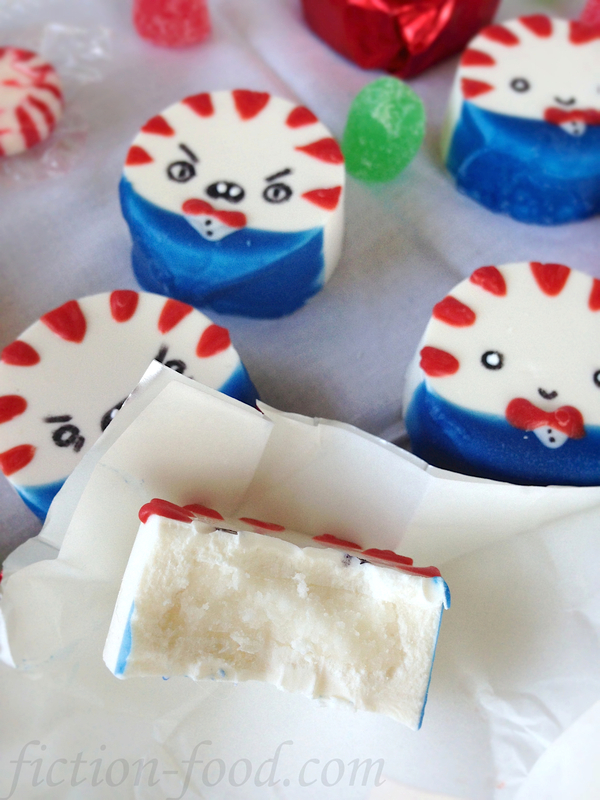 Let cool a little bit & then dip the bottom 1/3 of each candy into the blue (work fast so the white doesn't melt!) & lay on the paper-lined tray to solidify. Use a toothpick to apply a little, white, inverted triangle onto the top center of the blue on each candy (see photos). 4. Melt the red melts & use a toothpick to create triangles around the edges of the candies (you can extend the red down the sides if you'd like). 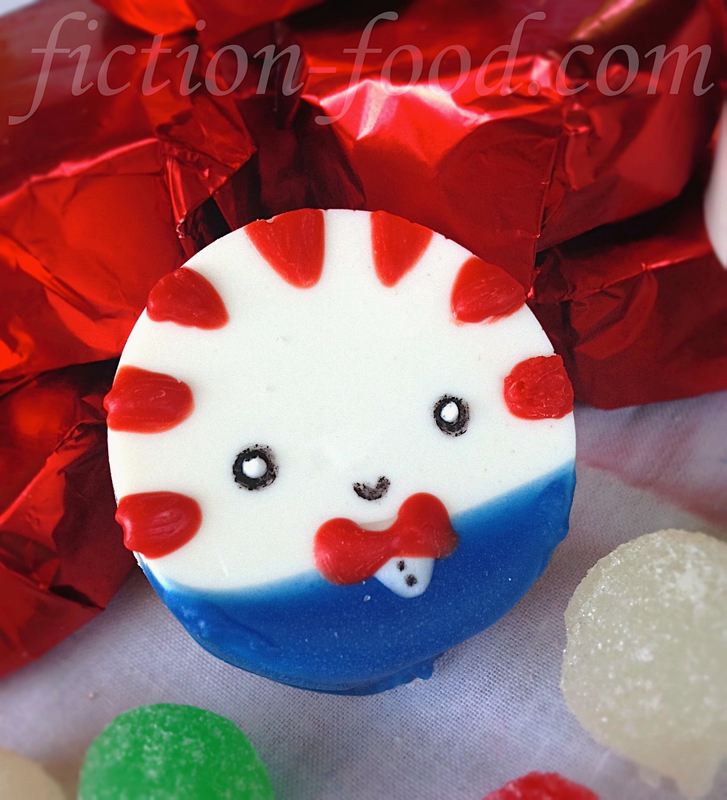 Make a tiny red bow tie on each candy, or use the red to affix two tiny heart sprinkles if you have them. 5. 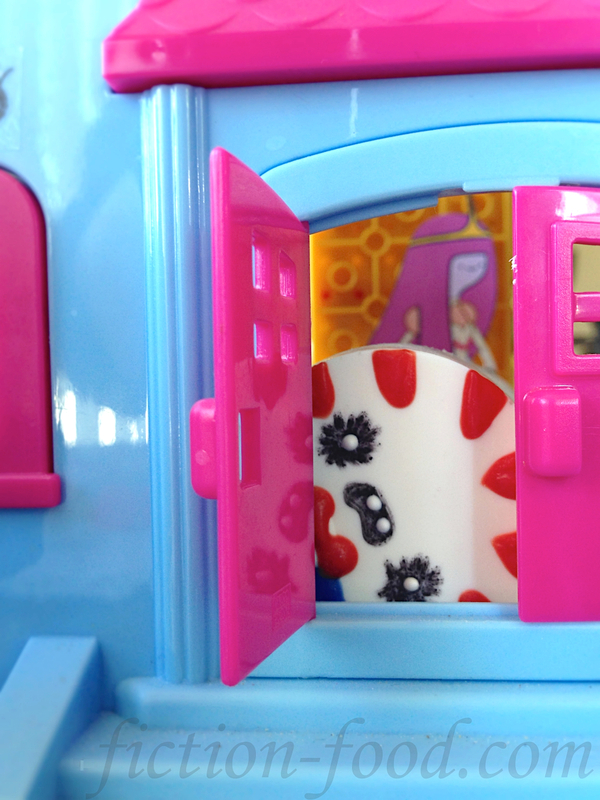 Lastly, use the black food color marker to draw a button (dot) or two onto each of the little white triangles & to draw on Peppermint Butler's face! Use a toothpick to apply tiny drops of white for teeth, if you make any expressions that require it (you can also use extra white for the eyes). Arrange the candies in a dish or wrap them in pretty candy wrappers to give as gifts (the ones I used are from Michaels)! I like the angry ones too, definitely a surprise if you give them as gifts! Thanks for visiting my blog, I LOVE Germany! These look great! I wonder if they would work in hot cocoa.